Interviewed by Boaz Frankel of Backstage Live, alt-country band the everybodyfields rocked out on kazoo with a unique version of Elton John's Crocodile Rock. The band is on tour playing some great music. You may have to request a kazoo number. 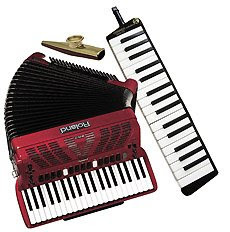 Arizona State University's Web Devil news site recently published an article "Unsung Wonders" shining light on the kazoo, the melodica, and the accordion and bemoaning the fact that these instruments are not universally acclaimed. The kazoo is described as "a popular instrument in kindergarten classrooms." Will the kazoo ever get respect? Writer Lana Burke thinks not. Kazoo players: band together and bring the kazoo the respect it deserves.